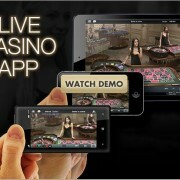 DEFINITELY, there’s some cash value to be had with a bunch of casino promotions celebrating the season opening. Pretty straight forward. 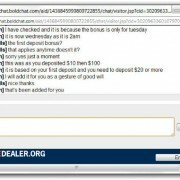 Each day on Friday 12th, Saturday 13th and Sunday 14th August, BetFred Casino are offering the above daily deposit match bonus. 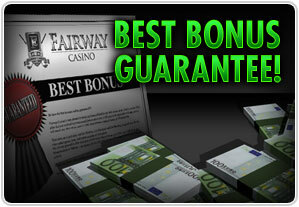 That’s up to £1,500 in bonus cash for the weekend. 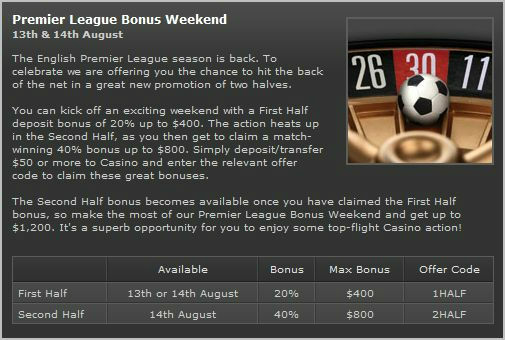 Up to $1,200 (or currency equivalent) available over the weekend at bet365’s casino. This is a turnover race running each day from Friday 12th to Sunday 14th. 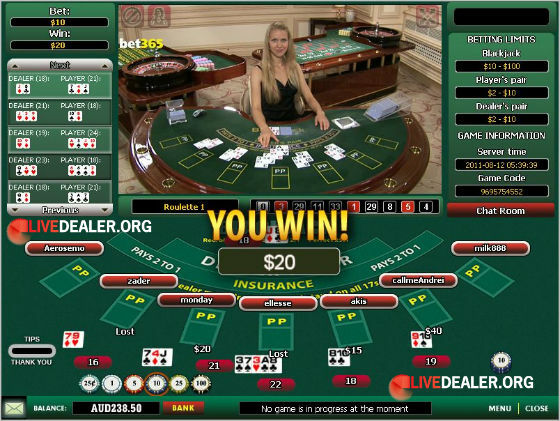 The highest staking player in Paddy Power’s live casino gets £/€250, 2nd gets £/€130, 3rd £/€80, 4th-10th £/€50. You’ll need to opt-in to qualify for the cash. This one’s a cracker. 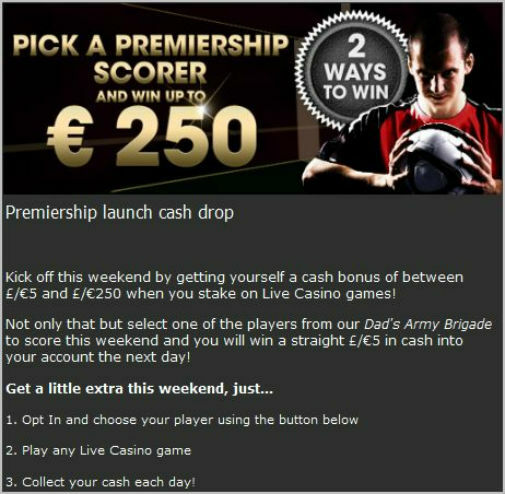 Play at Ladbrokes live casino between now at 25 August and place more than £500 in bets on any of their live games and you get a ticket in their Premier League draw. You’ll be told your ticket number via email on the 26th. 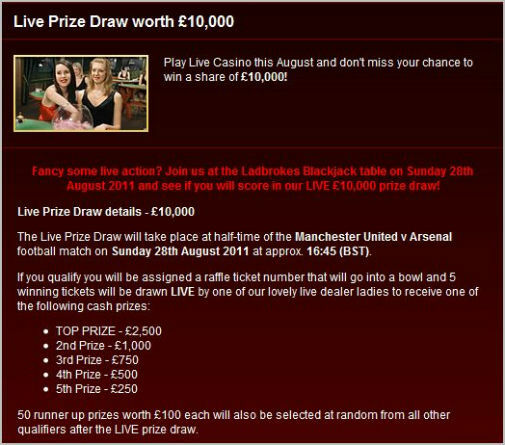 On the 28th, during the half time break in the game between Manchester United and Arsenal, tickets will be drawn at one of Ladbrokes’ live blackjack tables so you can log on and watch the dealers pluck your number from the bowl. 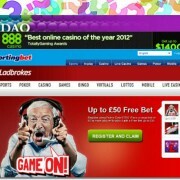 Cash prizes totaling £10,000 will be given away, first prize a not-too-shabby £2,500.